Buy this item and earn 277 points valued at £2.77. Maduro Belicoso - 5" x 52. 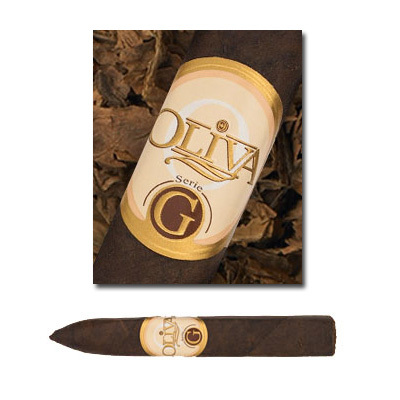 Oliva Serie G Maduro is a medium body blend made with Connecticut Broadleaf wrapper. The unique flavor notes of this wrapper are complimented by the natural richness of Nicaraguan Habano fillers. Blending Notes: Medium body with notes of cedar and coffee. Aging: Cameroon is a thin wrapper with little oils, its flavor will changed little from aging.